Klaus-Peter Werani studied violin and viola at the music academies in Vienna and Munich. He developed an early interest in new music and wrote a master’s thesis on this subject at Munich’s Ludwig-Maximilian University. While he was still a student, he took part in a number of world premieres with ensembles such as Music of the Centuries in Stuttgart and the MusikFabrik NRW. 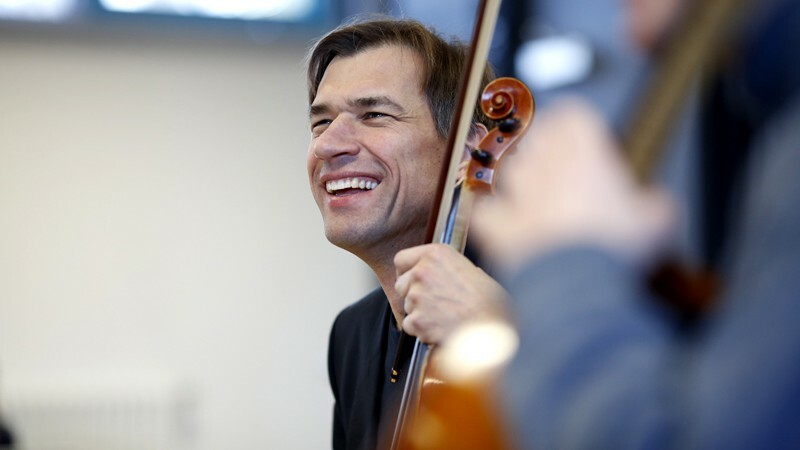 He became principal violist in the Philharmonic State Orchestra of Hamburg in 1988. He has been a member of the Symphonieorchester des Bayerischen Rundfunks since 2000. He joined forces with Michaela Buchholz (violin) and Hanno Simons (violoncello) to form the TrioCoriolis, which can be heard regularly on concert platform in works ranging from Bach and Mozart to Brass and Schweinitz. In 2008, he performed the solo part in the film score to “La possibilité d’une ile” (M. Houellebecq) by Mathis Nitschke.